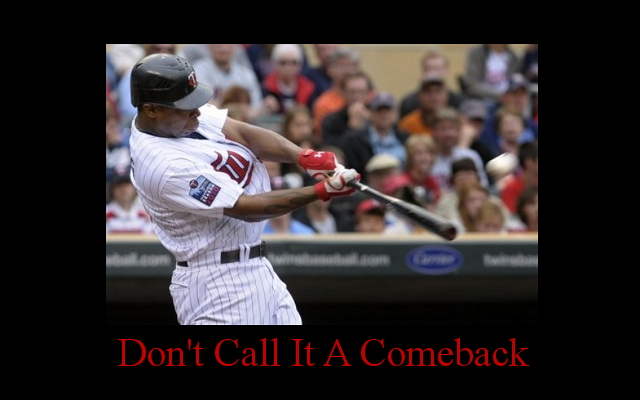 Motivational Twins Poster: Delmon Young (feat. LL Cool J) | That's Twins Baseball. A Minnesota Twins Blog. Motivational Twins Poster: Got MVP? Can I use this as a background for my twitter page? I love you site. Sure thing, thanks for stopping by. Think this is great. I’ll be linking it on the blog today. Thanks for the good work. Copyright © 2019 That's Twins Baseball. A Minnesota Twins Blog.. All Rights Reserved.